Each year, thousands participate in Rotary's educational and youth programs, all known for fostering international understanding and friendship. But the experience doesn't have to end when the program is over. It all began in 1981, when a group of Rotary International Exchange Students in the USA grabbed the chance to go on a month-long tour of the entire US with 250 other Rotary exchange students in 5 coaches, organised by Rotary USA. It was an unforgettable experience for them and life-long friendships were forged on that trip. The first of their reunions was organised ten years later in 1991 in Philadelphia. 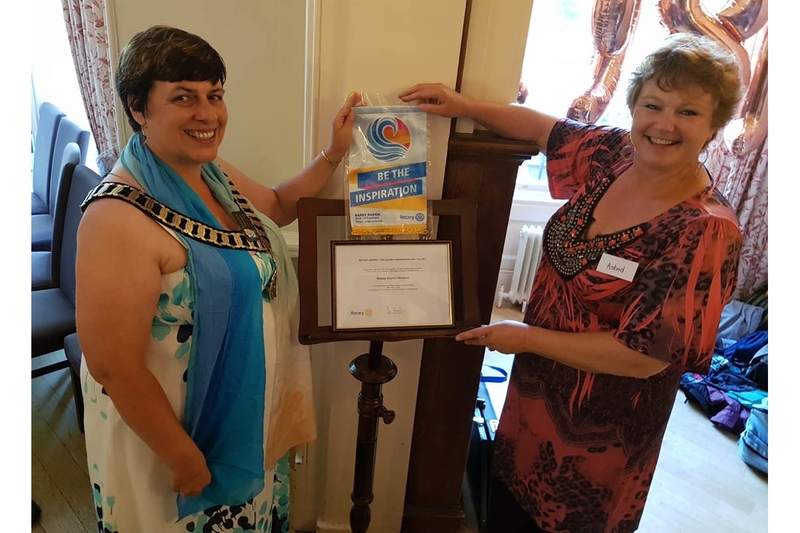 The second happened three years ago in Sao Paulo, Brazil and this third reunion was organised here in the UK by Astrid Nielsen-Schuurmans, who is currently a member of the Rotary Club of Abingdon Vesper. 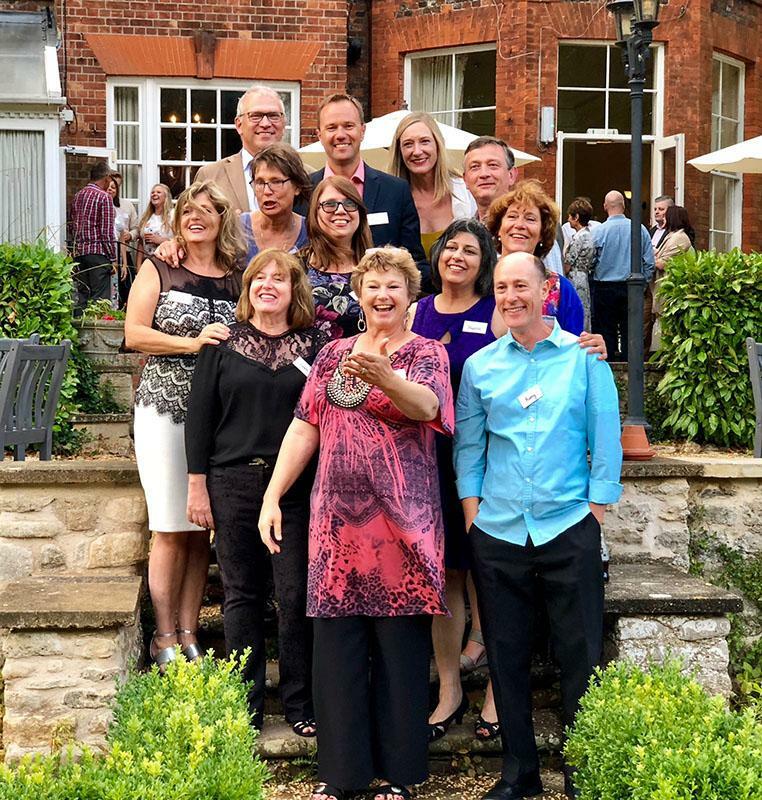 Astrid was also keen to make sure that Rotary International knew that this group of friends exists and embodies everything that Rotary stands for: international friendship, lasting support, sharing of ideas and mutual respect. Astrid discovered that it was possible to set up a Rotary Alumni Association. These Associations are always based in a Rotary District, and this new Alumni Association is based right here, in District 1090. The members, however, are truly international and live all over the world, in Brazil, Australia, Germany, Italy, Sweden, USA, the Netherlands, etc. This virtual, international Alumni Association is therefore totally unique! They are hoping that the RI head office in Evanston will help them find more members of the Rotary USA Tour of 1981, as there was no social media at the time to stay in touch. 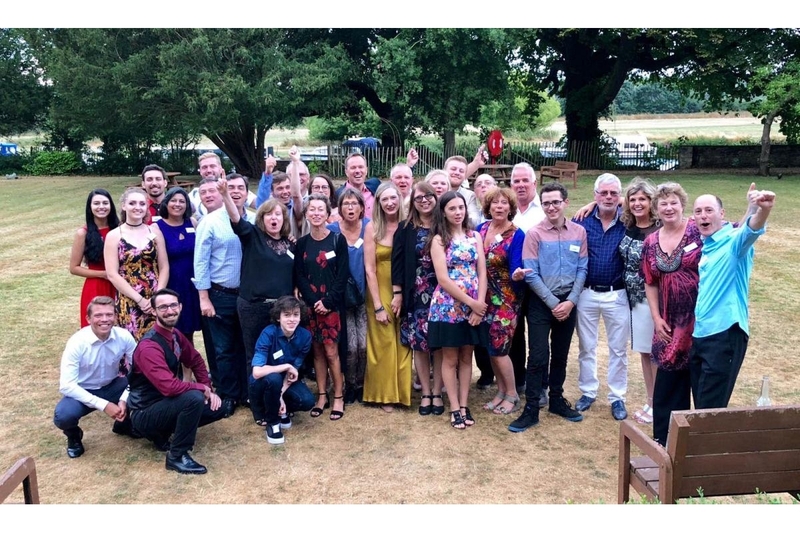 On a thunderous summer evening this July, John Simpson represented Frank Knowles, our District 1090 Alumni Officer and welcomed this group of friends to Abingdon. DG Gillian Pearce then handed over the official charter certificate to Astrid, the first President of this new Alumni Association. Lastly, Christof Anskinewitsch, member of the Rotary Club of Usingen in Germany and Vice-President of the new Alumni Association invited everybody to attend the RI Conference in Hamburg in June of 2019. The members of the group have decided that they want to set up a fund to support young people who have qualified to be a Rotary Exchange Student, but whose parents lack the financial means to pay for the flights and other related expenses.